In today’s business world, it is not uncommon to find yourself involved in a business or contract dispute. Business disputes involve such things as unfair competition, non-compete covenants, violations of trade secrets, restrictive covenants and employment contracts. Contract disputes can involve such matters as specific performance, rescission, reformation or cancellation of a contract, breach of contract and subrogation. Mediation – This is a process whereby a third party, or a mediator, assists in resolving the dispute. The mediator, however, has no authority to make a binding decision. Among the advantages of mediation is that it is a private process, and it is fairly quick and inexpensive. Also, since mediators help to resolve disputes with consideration of both sides of the issue, there is a better chance of future business dealing between the two parties. Arbitration – Sometimes if disputes cannot be resolved through mediation, the parties involved turn to arbitration. This is a process whereby an impartial party considers the dispute and comes up with a final and binding judgment. The parties involved usually do not have an option to appeal the arbitrator’s decision, unless that option is specifically included in the determination. Litigation – This is a formal process whereby a dispute is heard publicly in a courtroom. The arguments are heard by a judge appointed by the court, rather than a mediator or arbitrator selected by the parties involved. In a litigation proceeding, rules of evidence are allowed and appeals of the final decision are possible. Litigations often take longer than mediations or arbitrations because each case must wait until it can be scheduled for court. Disputes can be costly for business owners, regardless of the avenue of resolution chosen. A fair, quick and amicable resolution is important for all business owners. To protect your business, it is necessary to utilize the services of an experienced attorney. 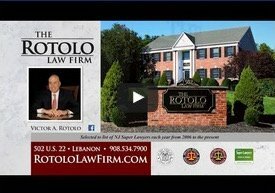 If you have a business or contract dispute, contact Rotolo Karch Law attorneys for advice. Protect your rights and your business. Call Rotolo Karch Law today.